Auto Invoice Magento extension is great a way to save time on manual processing of payment transactions, as an invoice will be sent automatically to your client once the order is placed. Once a new order is received, invoice will be sent automatically by email. Ability to generate auto invoice after full or partial shipment of the order. Automatically adds order comments for admin to track all orders invoiced. Auto Invoice Magento Extension is an easy to install tool for facilitating order processing. If enabled in the backend, the module will email an invoice automatically to the customers who have confirmed their orders. Most available payment methods are supported. There is no need to create magento invoices programmatically or process each order manually by website admin. The purchase process time frames will be considerably shortened, resulting in higher customer satisfaction and increased sales. This Automatic Invoice Magento Extension will only issue an Auto Invoice if the Order Status is "new" or "processing"
Admin can choose to capture the order amount using three methods: capture online, offline or do not capture. After installing this extension, it automatically creates an invoice when the order is placed. This reduces a regular & repeated job of my staff of creating invoices which is very useful. 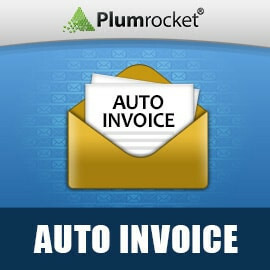 Auto Invoice extension is one of the most useful extensions in my Magento store. I have already purchased more than 12 extensions from Plumrocket. Although this is a free extension, they still provided excellent support! This saves time and energy during invoicing! Took a little work to get running but plumrocket jumped in to assist and fixed it for us. Would recommend! This extension did exactly what I needed, can't compete with free. Easy to install and configure, helps to "shore up" the weaknesses in Magento's invoicing system. Thanks!! Your product are very good and helpful, team makes perfect solutions. I would recommend everyone to get your services and best solutions. Keep it up! Its a good extension for auto invoice,I have enhanced and added more features on auto invoice system using this extension. Thanks for free extension. Has reduced our efforts by atleast 30-40 seconds per order to be invoice. Seamless Integration with Magento 1.7 without hiccups. Just install and ready to use with just a Cache Refresh. I chose this rating because this extension is perfect to go with my other plumrocket extensions. I recommend to buy Checkout Success Page from Plumrocket with this extension. I install and test Auto Invoice Extension. Works perfect and save admin time when have more orders. Guide is complete..
No need to manually approve & create invoice, this does it for you. Easy configuration and just works! Install was easy and worked perfectly. Highly recommend - i big time saver. This will simplify all your backoffice with orders. This extension helped speed up the process of placing an order, which is what I wanted. Extension is a nice one and substitutes standard Magento invoicing in a good way. Just make sure you read the documentation carefully. This extension is awesome! I don't need to go to orders menu again and again to generate invoice. This extension generates invoice automatically for my orders which are 'events' whatever the amount of product. I have used this extension for one of my websites. It works as described, very simple and useful. I also like their support, pretty good as for free extension. World Time Zone support issue fixed. Invoice email was sent before the order confirmation email. This is fixed. For some payment systems invoice was created even if the payment was not completed. This is fixed using the built in cron job. Switched magento Code Pool from "local" to "community".